It’s nearly that time again – launch day! Next Tuesday 23rd September at 6.30pm in Hodges Figgis bookshop we’ll be launching our latest title in murder mystery style. 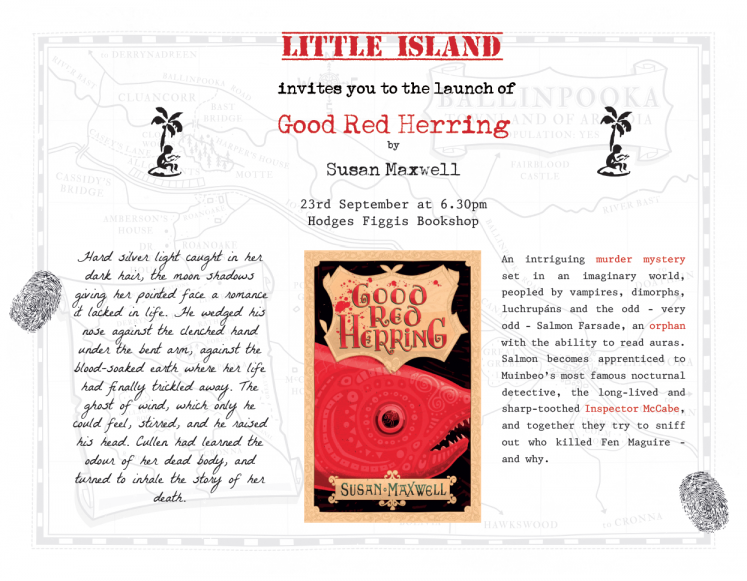 All are welcome and there will be wine and refreshments along with readings and a few murders if we’re lucky. 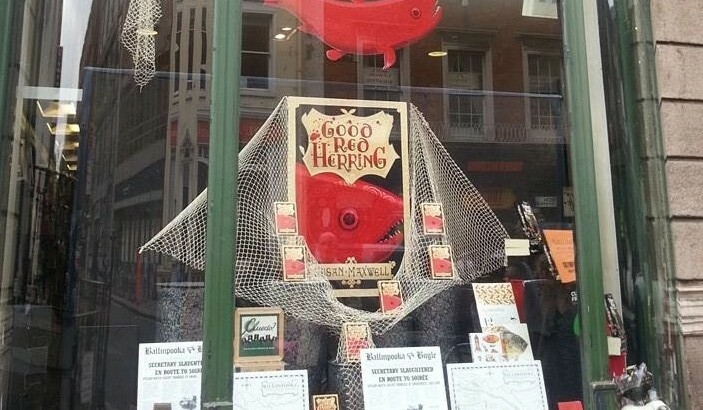 In the mean time, check out our window in Hodges Figgis bookshop, complete with giant fish drawn by the excellent Steve Simpson. Launch figgis, herring, hodges, launch, maxwell. permalink. 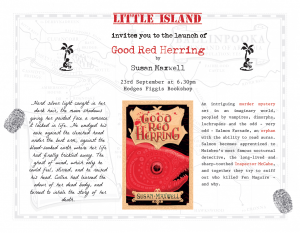 Little Island and Dublin Book Festival!